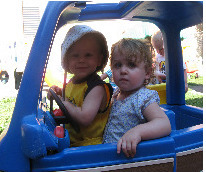 My husband and I have three children at ORCCC, ranging in ages from six months to four- years-old. We are happy with our experience. 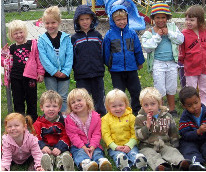 We first considered ORCCC because it was one of five accredited daycares – i.e. not just licensed, but actually accredited – in the Fargo-Moorhead area. Over the past few years, we have learned that the accreditation speaks to the competence of ORCCC’s professionalism, but it is their level of care and compassion that has kept us happy with our choice. For me, leaving my kids when I returned to work was very hard; however, knowing that they are in excellent care, ensured that I had no need to worry about whether my children were in good hands and of course on top of dealing with the heartache of being away from them. My husband and I feel very fortunate in discovering ORCCC and we can’t say enough good things about the staff. 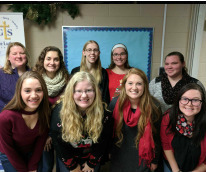 Their professionalism, openness to communication, feedback and their genuine care for all of the kids are just a few of the reasons we feel so fortunate to be at ORCCC. 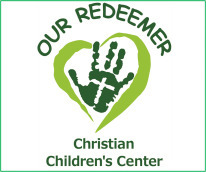 Our Redeemer Christian Childcare Center has been a loving and nurturing environment for our three-year-old. We have seen her blossom in daycare as well as the Christian based preschool program. She is always excited to see her friends and teachers. She loves the CCC and we do too! We feel that it is truly a family environment and that makes it so much easier for us to go to work and leave our little girl for the day. 1)They communicate clearly and regularly. Not only do we receive a Center wide newsletter from the director, but we also receive a newsletter from our children’s classroom. Not every daycare provides these, so it’s wonderful to read about center updates, field trips and activities the children get to participate in. 2)They have the best teachers. It’s apparent that the teachers like what they do – they help the kids learn in a way that is exciting for the children, keep them safe and they have fun with them. I’ve heard numerous stories from my four-year-old about his interaction(s) with the teachers and how much fun they have together. They go above and beyond what they are expected to do. 3)The secured access is a nice way to keep the center extra safe and we appreciate that added-value. 4)The Center is clean and safe and provides several different areas for the kids to go such as their classroom, the awesome huge gym, the outside play area and the field next to the center. There is plenty of space and variety for the kids. There have been a few times that we’ve picked up our four-year-old for an appointment and he’s had the choice of staying home with mom/dad for the remainder of the day or going back to daycare and he chooses going back to daycare. It’s a true testament to how much he loves it there, and that is the best feeling ever, knowing your child is well taken care of and loves being there.